Wow! Great Home Great Price! 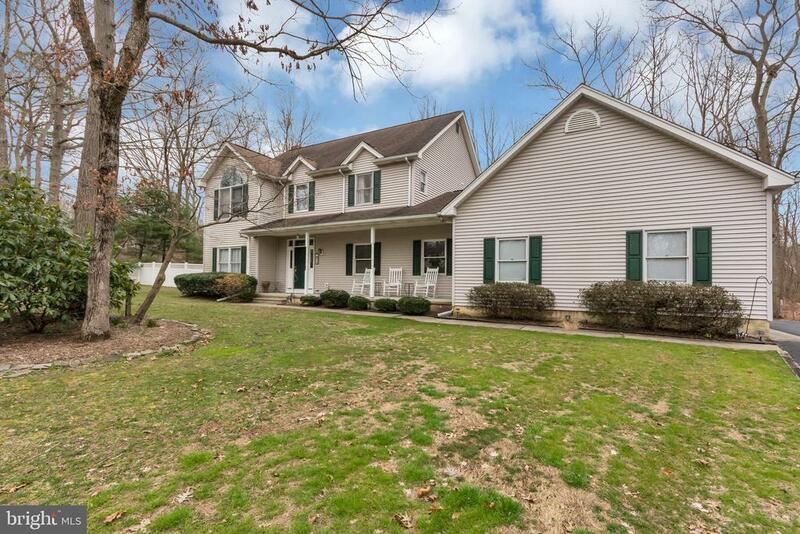 As soon as you pull up to this gorgeous 4 bedroom 2.5 bath 2 story Center Hall Colonial you will want to call it home. Its the perfect place for your growing family and loaded with custom features not included in a typical track built home. Features include formal living and dining rooms with soaring 2 story entry foyer, flowing into the large gourmet eat in kitchen with high line appliances, center island with cook top and hardwood floors, also on 1st floor is den/study and a large family room with fireplace and slider to large brand new maintenance free composite deck overlooking the large yard with wooded views. Upstairs are 4 large bedrooms including an owners suite with walk in closet and opulent bath with soaking tub. All rooms have large closets and the home is fitted with extra storage in attic with high ceilings as well as over the large 2 car garage with extra high ceilings and doors large enough for SUVs, a large basement with extra coarse high ceiling and walk up exterior access complete this lovely home. If you are looking for a well built home on large lot in desirable neighborhood look no further. Call Today!